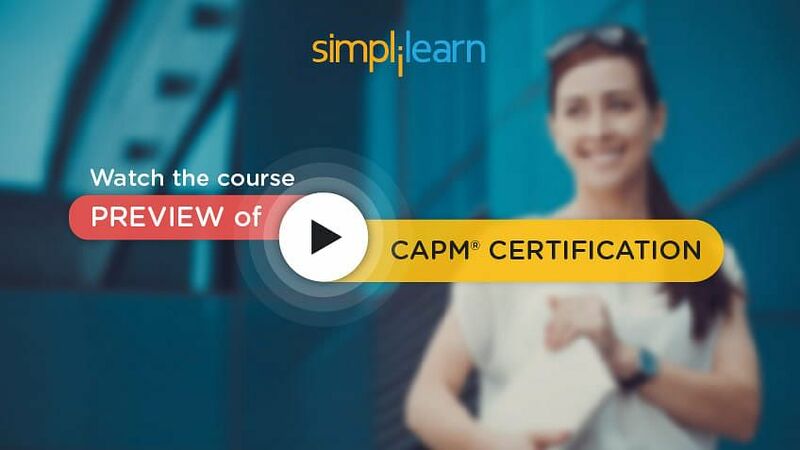 Welcome to the third lesson ‘Project Integration Management’ of the CAPM Tutorial, which is a part of the CAPM Certification Course offered by Simplilearn. In this lesson, we will focus on project integration management. There are 47 processes in project management grouped into ten Knowledge Areas and mapped to five Process Groups. In this lesson, we will look at the first knowledge area, i.e., Project Integration Management and its processes. In the next section, let us understand the concept of Project Integration Management. The project integration management is high-level work that project manager does and it involves managing interdependencies among the other knowledge areas. The other nine knowledge areas involve detailed work in a specific direction. For example, Project Cost Management deals only with how to manage the cost of a project. The project management processes do not happen independently. For example, a new resource added to the project may require changes in cost or schedule or both. Let us next discuss the key role of project manager, sponsor, and team in the next section. Project manager, team members, and project sponsors have different roles to play in a project. An organization can undertake a project under contract with an external organization or take up a project driven by internal business needs. There should be a formal process of selecting the project in all organizations, to ensure that it is making the best possible use of limited corporate resources. For example, if the organization has an option to take up any one out of the two projects, both of which use the same corporate resources, the organization would naturally select the one, which is more profitable. There are two broad ways to select a project. There are different methods under both these categories and you should be familiar with the names of these methods. One way is the benefit measurement method where one project is compared with other competing projects. Broadly, the benefit measurement methods focus on ascertaining the costs and benefits of undertaking the project. Another approach is based on mathematical models wherein you examine the most optimal selection of projects by trying to optimize a goal – for example, maximize operating profits. Such methods may be called constrained optimization methods. The constrained optimization methods rely on mathematical modeling techniques to determine the best selection of projects to achieve certain business objectives. The methods of constrained optimization method include linear programming. In reality, you might not have seen these methods to be followed in project selection. Often, personal relationship with the sponsor may be more important than anything else. This is quite normal and any organization worldwide works this way. However, as a certified project manager, it is important for you to be familiar with more scientific methods of project selection. A typical question on the CAPM exam could be: “What type of project selection technique is peer review?” and the right answer is “benefit measurement method”. An organization has limited resources. They cannot execute all the projects that come their way. They can take only those projects for execution, which are financially sound for the organization. There are various parameters used in making such decisions. Let us learn about the parameters in detail. Present value is today’s value of future cash flows. In order to reduce future cash flows to present values, a “discount factor” has to be applied. What this essentially means is, if a project can give a return of say $100 per year, $200 next year, and $250 the third year, what is the value of all these returns today? $250 return in the 3rd year will not be the same as $250 today due to inflation or any other constraint. Problems where a project has to be selected over other projects, on the basis of their net present value, can be expected in the exam. Let us take an example of a typical question that we might encounter in the exam. You have two projects to choose from. Project X will take 2 years to complete and has an NPV of $35,000. Project Y will take 5 years to complete and has an NPV of $95,000. The answer is project Y, because it has a higher NPV. Do not get confused with longer duration of the project; it is important that NPV be more. Another term used in evaluating a project is internal rate of return or IRR. IRR is the rate of discounting at which the present value of costs matches the present value of benefits. It is the rate inherent in the project. Let us look at an analogy to understand the concept of IRR. Consider a project similar to depositing money in a bank account and earning interest. You will prefer the bank that gives maximum interest. Similar is the project. Choose from project A and B wherein Project A has an IRR of 25% or project B has an IRR of 15%. The answer is project A, as the IRR is better for project A. It is obvious, higher the IRR, the better. The answer would be project A. It is evident that lesser the payback period, the better. Benefit-cost ratio is the ratio of the present value of benefits to the present value of costs. A benefit-cost ratio of more than 1 means that benefits are greater than the costs. If the benefit-cost ratio of project A is 2.5 and benefit-cost ratio of project B is 1.5, which project would you select? The answer is project A – as the benefit-cost ratio is higher in project A. Opportunity cost is yet another term used in evaluating competing projects that you might see in the exam. It means the opportunity given up by selecting one project over another. Problems where a project has to be selected over other projects, on the basis of their net present value and opportunity cost, can be expected in the exam. Close project or phase done in the Closing Process Group. Let us look at each of these processes in detail. In the next section, let us understand how to read process-related information. As you can see in the project management process diagram, these elements within the knowledge area represent the inputs from the same knowledge area. These elements represent the inputs from other knowledge areas. These represent the tools and techniques used in the process. These are outputs of the process; these represent the output within the same knowledge area whereas these outputs are fed into the knowledge areas other than the one that the process is a part of. You can observe that the process in the image is color-coded based on the process group. Initiating process group is in yellow, planning process group is in blue and so on. You can read the processes and their color codes in the legend box on the bottom left of the section. Let us look at the key inputs to be considered in preparing the project charter. The next input is the business case. This document establishes whether the investment in a project is worth, from a business point of view, the business need for the project, and the cost-benefit analysis. It provides important information to the project manager about the goals of the project and the boundaries in terms of the desired results, cost, etc. If the project is being undertaken as part of a contract or agreement, the agreement provides an important input for the project manager that establishes what must be done in the project. The next input to be considered for project charter is “enterprise environmental factors”. Any project to be executed within the organization has to deal with the organizational culture and existing systems. You can consider this as an “organization baggage” that comes with the project. This is the reason a project being executed in two different organizations may be done differently. Another factor to be considered is organizational process assets. This is a broad term and includes all the organizational processes, procedures and policies, corporate knowledge base, and historical project information. Every organization develops a set of processes, procedures, and policies that are based on the best practices learned by the organization over time. The historical information includes past project management plans, risks, lessons learned, etc. of the similar project executed. The first technique is expert judgment. Expert judgment is an invaluable input to the process of formally authorizing a project because an expert can provide insights into why a project makes business sense or why it does not. From experience, they may be able to shed light on the validity of the business drivers, feasibility, assumptions, and constraints that need to be considered for the project. Facilitation techniques is another technique used. The chartering process is often a collaborative activity involving many influential stakeholders in an organization. Facilitation techniques help bring all these stakeholders together and engage in fruitful discussions in order to arrive at an informed decision whether to go ahead with a project or not. The only output of this process is the project charter. Let us try to understand what the project charter might contain. The project charter usually contains the high-level project requirement and it should be created by the project sponsor and handed over to the project manager. The project manager can do the groundwork to prepare the project charter, but it must be signed by the project sponsor or somebody in the “performing organization” who is higher in authority than the project manager. It is important to point out that a project charter is not a project management plan. The detailed risk, schedule, cost analysis, etc. is part of the project management plan and it should be done during the project planning phase when there is more detail on the availability of the project to do so. The charter should be sufficiently “high level” to accommodate the minor changes that may arise in the project. In the next section, let us discuss the second process under project integration management which is Develop Project Management Plan. This is the process of documenting the actions necessary to define, prepare, integrate, and coordinate the subsidiary plans. Examples of subsidiary plans are project time management plan, project cost management plan, project human resource management plan, etc. Many people think that project schedule developed using Microsoft Project is the project management plan. However, that is not true. Project management plan contains all the subsidiary plans and their baseline value. It also contains the allowed variance in the baseline value. Performance measurement baseline of project’s time is the total of project baseline time and the agreed time variance for the project. For example, the time management plan section would have mentioned the time taken by a project. So, if the time variance agreed in the plan is 10%, the project should be executed in maximum 180+180*10% = 180+18 = 198 days. Whether the baseline time value should be 180 days or 300 days is decided by analyzing the project activities and it should not be decided arbitrarily. Let us look at the inputs considered in developing the project plan. Project charter from the previous process is an important input. The other inputs include the output of the other planning processes because the project management plan is supposed to integrate all of these plans. The examples of other plans are time management plan, cost management plan, and quality management plan, etc. All of these plans are developed over a period as the project progresses. These will be discussed in detail later in this tutorial. In addition to these, enterprise environmental factors and organizational process assets are also inputs to developing the project management plan. In fact, these two factors have more influence in developing project management plan than in developing project charter. It is recommended that you understand these inputs, outputs, and tools and techniques clearly, as most of these will be repeated in other processes as well. The two tools and techniques employed in this process are expert judgment and facilitation techniques. The very obvious output of this process is the Project management plan. Let us look at a few key terms to understand project management processes. The first is the work authorization system. There should be a formal process of authorizing work within the project. So be it internal team members or a project contractor, there should be a formal process of giving the go-ahead to start work on the project. The next two related terms are corrective and preventive action. You will come across these terms throughout this CAPM tutorial. Corrective action is any action taken to bring expected future project performance in line with the project management plan. For example, if a project milestone is delayed, as a corrective action, you include additional resources to ensure that the final project deadline is not delayed. While corrective action involves implementing actions to deal with actual deviations from the performance baselines, preventive action deals with anticipated or possible deviation from performance baselines. A very important system that needs to be established early on a project is the change control system. Since projects are executed in a dynamic environment, it is quite natural to expect changes in the project requirements. The change control system is the formal documented procedures, paperwork, tracking systems for authorizing changes. Therefore, the change control system analyzes each of the incoming change requests and decides whether to accept the change request or reject it. A configurable item is any product, service, or result within the project, whose characteristics need to be identified, documented, and placed under change control mechanism. Now, let us look at the next process of the project integration management knowledge area, which is direct and manage project work. The input to this process is obviously the project management plan since the project is executed as per the project management plan. The other inputs to this process are any approved change requests that need to be implemented. These could be in the form of corrective or preventive actions upon which the team has decided to work. The other two inputs are enterprise environmental factors and organizational process assets. Let us now look at the tools and techniques. Expert judgment is an important tool used in this process as well. Another technique is the project management information system or PMIS. The PMIS is a combination of documents, dashboards, software tools, etc. where the data and information related to the project get collected as the work is being done. During execution, it is natural to expect that plenty of meetings will take place among the team members and among other stakeholders as well. There are several outputs from this process. Project deliverables are produced. As the deliverables are being produced, there would also be data related to the project performance that will be generated, such as what was done, how long did it take, how much did it actually cost, etc. Along with these key outputs, there are chances that new change requests may emerge. This could be because, during the execution phase, the team or the stakeholders may realize that what is being produced is not meeting the expectations or needs and that something else may need to be done. In the process, project documents and project management plan get updated. Monitor and control project work is the process of tracking, reviewing, and regulating the progress to meet the performance objective or objectives defined in the project management plan. Now, the estimated time performance measurement baseline is 180 days and 10%. The monitor and control project work is the process area that tracks whether 180 days and 10% time performance baseline is being met or not. Let us also look at the key inputs for the monitor and control project work process. Project management plan is the key input, as the performance measurement baselines are part of project management plan. The other key input to monitor and control project work is work performance information. It is the status of the project, i.e., the status of the project deliverables, the cost incurred, the time elapsed in the project, etc. Along with the work performance information, forecasts related to the cost and time form important inputs upon which the project manager has to act. Validated changes confirm that the approved changes have been appropriately incorporated. Enterprise environmental factors and organizational process assets are also inputs to this process. Expert judgment, Analytical techniques, Project management information system, and meetings are the various tools and techniques. One of the outputs of this process area is change requests. Change requests could be in the nature of corrective and preventive actions or defect repair. In the next section, let us focus on perform integrated change control process. The only additional input is the change request, since the perform integrated change control process is supposed to take care of managing the incoming changes. To make a judgment about the change requests, project management plan and the work performance reports are also referred to. Another important tool and technique used in this, along with expert judgment and meetings, change control tools, and most important among them is change control board. The team takes up the ownership of analyzing each of the incoming changes and also does the impact analysis for the changes, and finally approves or rejects a change. The process should produce change requests that are approved, a log of change requests processed (requests that were either approved or rejected), and a few updates to the project plan and other documents. Change management and change control is the theme recurring in many questions in the examination. You can expect questions in the exam, which test a project manager's response to a particular change in the project. For instance, in order to accommodate an increase in scope, it may be necessary to extend the timeline, add resources, increase budget or a combination of the above. Once the impact analysis and exploration of possible options are completed, the project manager should present it to internal as well as external stakeholders for their approval. It should be presented to internal stakeholders first, because the management of an organization may decide to absorb the change within the project’s reserves without opting to bill the customer. These steps are an important aspect of a project manager’s job, and the ability of a project manager to manage change will be tested in the CAPM examination. You are the project manager of a new corporate initiative that is focused on revising and re-classifying the staffing positions in its Design Division. The project plan has been developed and everything is progressing smoothly now that you have to overcome the unwillingness of the staff to provide insight into their roles and responsibilities. Now, you are preparing the project status report for your upcoming meeting with the Project Sponsor. Being halfway through the project, you are positive and excited at your project stats despite the rocky start. Unfortunately, the meeting with the Project Sponsor did not go as planned. You are informed by the Sponsor that the deadline for the project needs to be moved up by 30 days and the budget will remain the same. The Sponsor has asked you to submit a plan of action on how you would accomplish this new deadline. This relates to the triple constraint and other measurable constraints: quality metrics, risk re-assessment, and resources. Then, the team will be able to brainstorm and analyze how to adjust the calendar accordingly and still meet the budgetary constraint. After approaching the problem using the triple constraint and change management process, you will be able to create a new viable plan of action so that you will both meet the new deadline and not compromise the integrity of the deliverable. Using the triple constraint and change control process is a great framework for assessing change and making decisions around change. In the next section, we will address the last process under project integration management, i.e., close project or phase. Close project or phase is the last process of the project management integration knowledge area. This process ensures that the project or a phase is formally closed after completion. Remember that PMI expects a mature organization and a trained project manager to be diligent in following closure formalities. Without going through the formal closure formalities, the project cannot abruptly be closed. The project should be formally closed, even if it is terminated due to some problem. The key input to this process is the accepted deliverables. The deliverables have to be brought into a state that they can be properly transitioned. Transition means they are handed over to the organization or group that will be responsible for operations, maintenance, and support. The other inputs are project management plan and organizational process assets. Expert judgment, analytical techniques, and meetings are the commonly used tools and techniques. The closure of a project or a phase results in a product, service or a transition. The ABC Fencing Line of Business has been progressing for the past two years and it is now ending. The new LOB is finally ready for its ‘Go live’ date and become a new service option for the company. In the last week of work on the project schedule, only 10 of the 50 project team members involved in the life of the project are needed to complete the remaining tasks that will take it live. You have already been assigned your next project, which starts in 4 weeks. Because of the tight transition time, you are pressed for time to formally close the project on time, hand it over to the customer, and prepare to start your new assignment. To proactively prepare for the post-project review meeting, you need to inform the remaining team members that each of them will be responsible for contributing to the Lessons Learned process and that you want them to start capturing these notes prior to your upcoming meeting. Some team members could be apprehensive about contributing because they do not see the value or benefit in this process and feel you could have done it on your own. In that case, you need to explain that lessons learned and historical information are valuable because they give insight and a potential starting point for new projects. Integrating the project activities is the key role of a project manager; the project team focuses on completing the project activities and the project sponsor warrants the team against unsolicited changes. With this, we have come to the end of this lesson. In the next lesson, we will cover project scope management.